Intel is no doubt the strongest player in the Personal Computer industry with the majority of the shipments. Netbooks are mostly powered by Intel's Atom processors which are efficient and consume lesser power than the other series of Intel. Ultrabooks and most of the Notebooks are powered by the Intel i3,i5,i7 processors nowadays. Intel provides Xeon processors that deliver extreme performance while consuming a lot of power for servers deployed in banks and other data centers. Intel has never been a major SoC provider in the smartphone industry. But with the new Asus Zenfone 2, Intel has got a lot of attention by other smartphone vendors for a SoC solution. Intel proved its mettle by powering the most anticipated ASUS smartphone ever which has now become a huge success in the smartphone industry competing with the flagships with half the price. The Korean Giant, Samsung Electronics seems to be impressed by Intel's Atom SoC and its success. A new Tablet named "CHOPIN" was spotted earlier on the GeekBench 3 benchmark charts. Geekbench 3 is Primate Labs' cross-platform processor benchmark, with a scoring system that separates single-core and multi-core performance, and new workloads that simulate real-world scenarios. 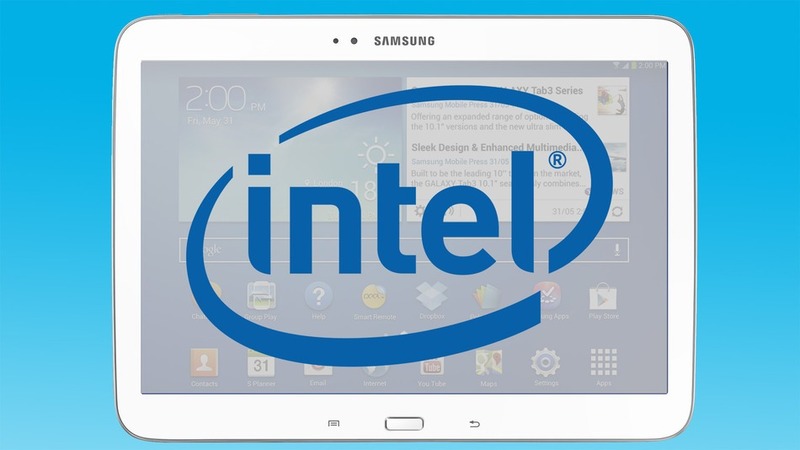 Samsung intends to release more tablets this year to compete Apple's iPad and iPad mini-series. CHOPIN is one of those tablets which will be powered by an Intel Atom Chipset named the x5-Z8500. It is a Quad Core chipset with each core ticking at a frequency of 2.24 GHz. The chipset has a 64-bit architecture and will feature Intel's HD Graphics. RAM supported by the chipset is 8 GB DDR3 RAM, but Samsung has deployed 4 GB of RAM in the CHOPIN tablet. The new tablet is also LTE enabled for fast internet access. There is no information yet about the camera, screen size or the battery yet, but we do get the scores of GeekBench. GeekBench gives CHOPIN a score of 1005 in the single-core test and a score of 3426 on the multi-core test. The latest Nexus 9 tablet from HTC scores 1890 and 3213 in the single-core and multi-core test respectively with an NVIDIA Tegra Chipset. Apple's iPad Air 2 scores 1816 and 4573 with an Apple A8X chipset.